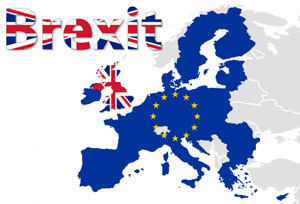 Beat The ‘Brexit Blues’ With Essential Oils! Don’t let the gloomy Brexit news give you the blues, let your essential oils help you maintain a positive attitude until the European divorce is over . . .
8 Seductive Essential Oils For Valentine’s Day! This Valentine’s Day, dim the lights and try one of these 8 seductive essential oils in your vaporiser, and discover for yourself the seductive power of aromatherapy . . . Dark circles can age a woman far more than wrinkles and even grey hair, life is so unfair! Learn how to fight back using only essential oils and natural aromatherapy treatments . . .
More than a great wardrobe or a skilled hand with make-up, healthy glowing skin is the key to turning heads. Just ask Kelly Campbell, a Los Angeles . . .
Aromatherapy carrier oils protect and keep your skin in great condition throughout the chilly winter. Learn which oils are best for winter skin care protection and how to use them . . . If you want to fight wrinkles usual purely natural methods, try our helpful tip using a combination of common sense, science, and of course – aromatherapy! 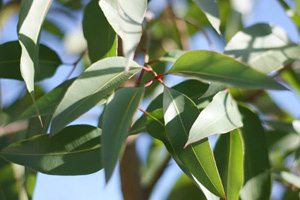 Lemon eucalyptus essential oil is obtained from the fragrant leaves of the Eucalyptus citriodora tree – learn about the properties, history and many therapeutic uses in aromatherapy . . .